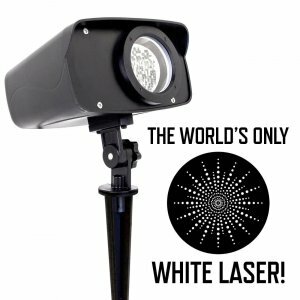 THE WORLD’S ONLY WHITE DECORATIVE LASER LIGHT! Yes, you read that correctly. 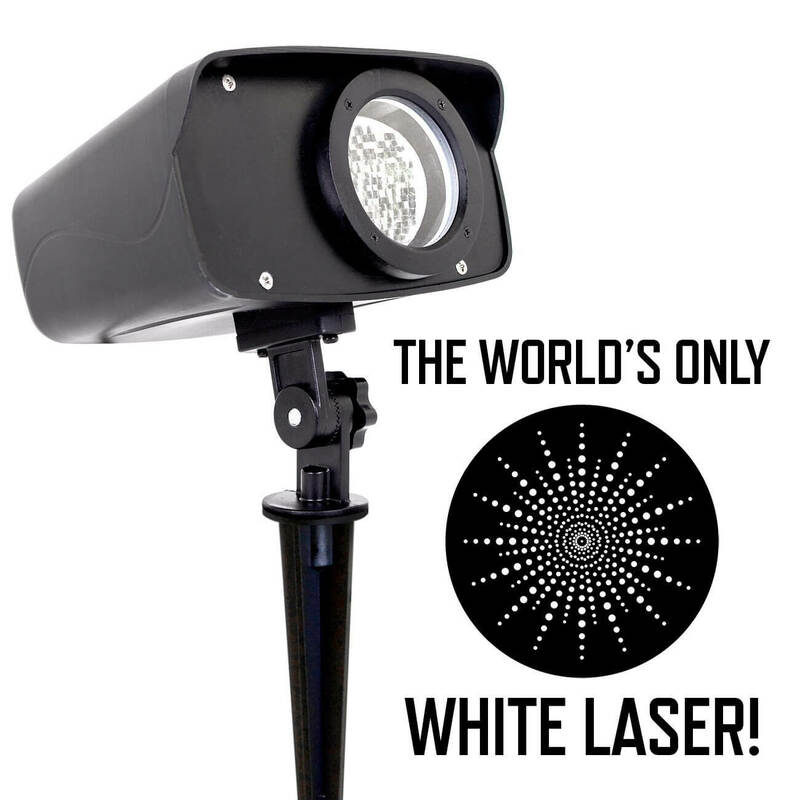 Night Stars is proud to bring to you the first decorative white laser light! This laser features our patent pending technology that projects moving white laser dots on your home. The Nightstars Moving White Laser Light is the worlds only true white laser. Projects moving white points of light. Automatic 4 hour daily timer. Durable plastic construction and metal lawn stake. Low voltage, durable, and weather resistant.